When you’re in your 20’s, it feels like the world is at your feet. You’re single, you have a regular job (and sometimes even high paying, if you’re smart), and you have a lot of cash to burn. It only seems natural to go ahead and get that car loan, rent a classier apartment, spend your dollars on shopping or vacations, and live a financially carefree life. You tend to think, “I’m still young, I have loads of time to start saving”. But before you know it, you’re at your 40’s or even 50’s, with a never-ending house loan, and kid’s college to think about. You look at your account and sweat starts pouring down your forehead. With only 10 more years to start saving for retirement, the future is starting to look bleak. Before you find yourself in this tight situation, it’s time to use that brain of yours and realize the importance of saving for retirement now. 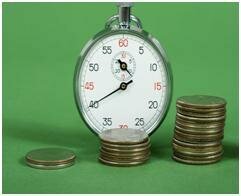 Do you know that the best time to start saving is when you’re at your 20’s? And if you only could, you should’ve even started saving when you were 10! And this isn’t only because of the length of years you have until you turn 60, but this is because of the power of compounded interest. If you haven’t heard of the term before, compounded interest happens when interest is added to the principal, and as time wears on, the interest gained will also earn interest. To illustrate this concept, let’s say you put $1,000 in the bank with 20% annual interest. By the end of year one, your money would have earned $200, for a total of $1,200. By the end of year two, your money (which is now $1,200), will earn another 20%, earning you a total of $1,440. If you’ve made the connection, the more number of years you keep your money where it earns a steady percentage of interest, the more money you get! Let me drive home this point. If you started saving that $1,000 at age 50, by age 60, you would get $6,191.73. But if you started saving that $1,000 at age 40, by age 60 you would have.. (drum roll please).. $38,337.43. Shocking difference? Try calculating if you saved that $1,000 at age 20. You would probably faint. When people advise you to start saving when you’re young, it’s not for naught. And aside from saving young, you also have to know where to put your money to get the best interest rates. Whatever happens, don’t put off saving for your retirement. Or else there will be nothing left for you but regret.